Today, there is a DVD player in almost every home. The DVD player is a great boon for those who enjoy watching movies and yet cannot go to a theater for the same. You can also use a DVD player to listen to your favorite music. There are a whole lot of DVDs in the market for you to have a look and make your choice. One of the best features of most DVD players is that they are really sleek and do not take up much place in the room you plan to keep yours. Yet another highlight of a DVD player is its ease of connectivity. With just a few wires, you can connect your TV and DVD player to start using it right away. Interestingly, most DVD players are also capable of playing CDs. The following is a list of some of the best DVD players. 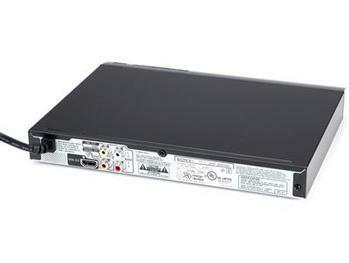 The Panasonic DVD player features a 3-way inbuilt converter that allows you to convert from one format to another such as PAL to NTSC and vice versa. The black device can be connected to any television. It upscales pictures of standard 720 x 480 resolution to 1920 x 1080 HDMI resolution for better crispness and clarity. The multi-format friendly and versatile player is also capable of playing CDs. It Supports DVDs from any part of the globe. The DVD player comes with one HDMI 1.3 port and one USB 2.0 port. 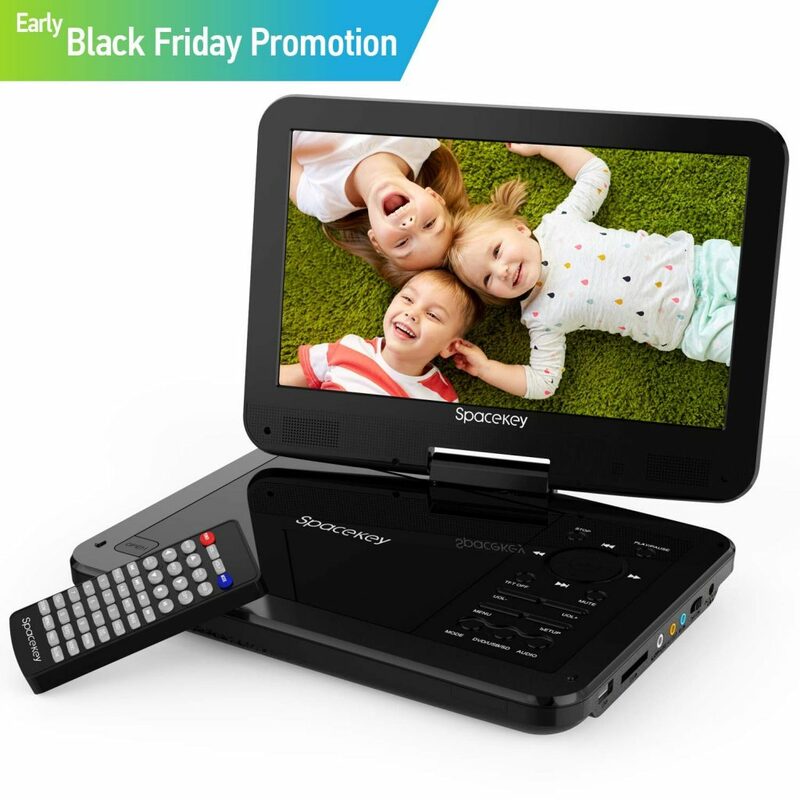 The Spacekey DVD player comes with a 1024 x 600p resolution swivel screen. The screen can rotate at an angle of 270 degrees and flip at an angle of 180 degrees for easy visibility. The speakers are oriented such that the sound produced by the device can be heard at a distance of 15 m. The DVD player can be connected to a television using AV cables or to other devices like a headset, projector or speaker. The gadget is compatible with different types of CDs and DVDs of many formats. It supports with audios and videos (720 x 576p resolution) of many formats. The player also works with JPG type images and TXT type e-books. The DVD player is made of premium materials that possess excellent heat dissipation properties. It features anti-skid feet on its base so that it can be placed safely on any surface. 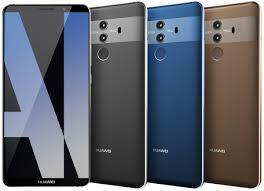 The unit is equipped with a 2,500 mAh lithium-polymer battery that has a lifespan of five hours on one charge. The device is available in two sizes of 9” (black) and 10” (blue). It comes with remote control and an 18-month warranty. The Lonpoo DVD player features 720p resolution and a digital display. The two-channel player supports two aspect ratios of 16:9 and 4:3 that makes it compatible with all televisions. The compact black unit has an easy to read digital display with progressive scan. The player is compatible with CDs and DVDs of multiple formats and supports KADAK, JPEG, MP3 and MPEG4 audio and video formats. However, it does not work with Blue Ray discs and MP4 video files. The region free feature allows you to play DVDs of any country. The device also offers supports various languages like English, Chinese, Russian, German, Spanish, Italian, Portuguese and French. The gadget works with both PAL and NTSC TV systems. Some important functionalities like multi-speed reverse and fast forward, next or previous track selection, memory play or previous, children lock and CD ripping. The DVD player encompasses an RCA output and HDMI output, along with a karaoke microphone input and a USB port to play digital media. It comes along with an RCA cable, remote control and a user manual. The Lonpoo DVD player is a great option for karaoke lovers who wish to connect their karaoke set up to the device. The child lock function ensures that the DVD player is a good option for parents who are apprehensive of their children using the gadget without their knowledge. The Impecca DVD player plays CDs and DVDs of multiple formats, including record-able CDs to provide maximum entertainment. 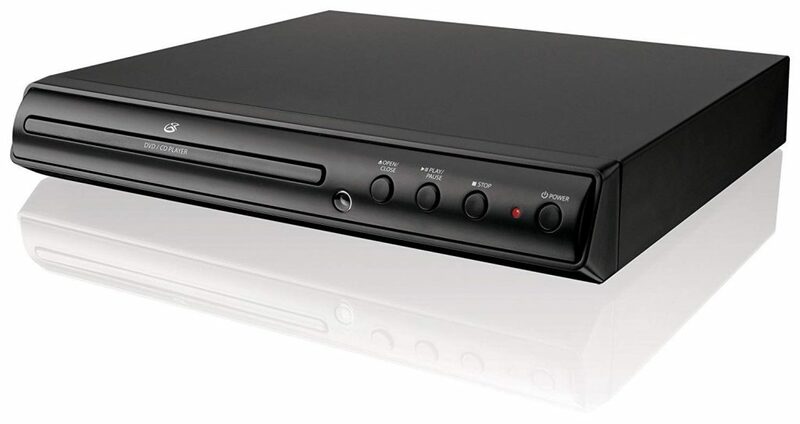 The black DVD player has multiple functionalities like fast and slow playback that support features like skip, single step play, advance zoom and slow motion. It offers multi-angle viewing,anti-shock protection for uninterrupted viewing and PAL/NTSC DVD compatibility and much more. The playback supporting device has a display aspect ratio of 4:3. The unit has a 2.0 channel coaxial digital output that makes the pictures vibrant and natural with smooth color gradation and subtle shades to offer outstanding multimedia experience. The gadget works at a voltage rating of 100 to 240 V at a frequency of 50/60 Hz with less power consumption. It comes along with a fully functional remote control, AV cables and a user manual. 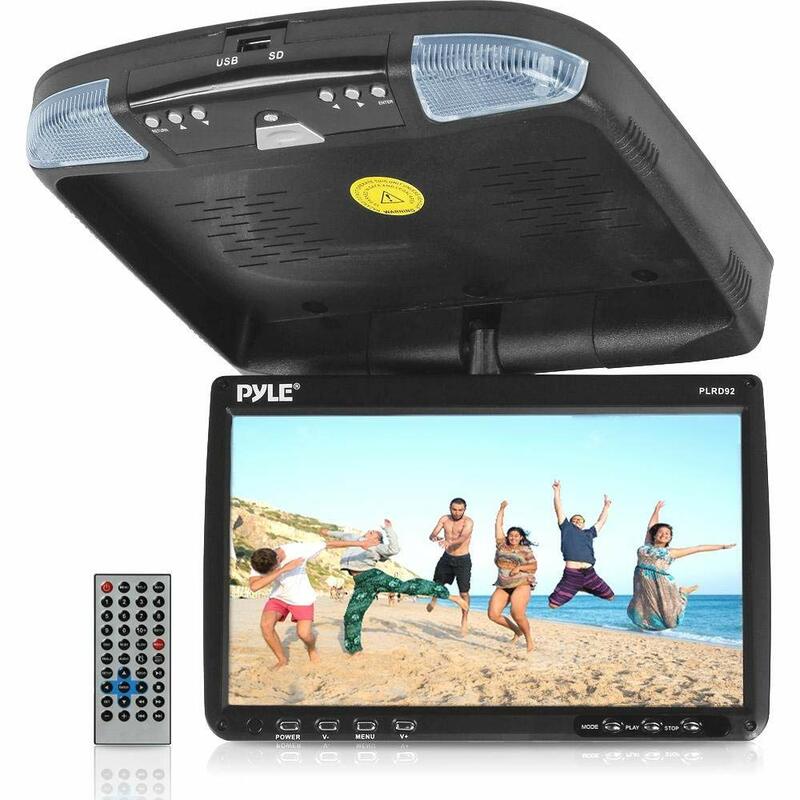 The PyleDVD player has a 9” TFT LCD widescreen 16:9 monitor with a high 640 x 234 p resolution that displays clear and crisp images. 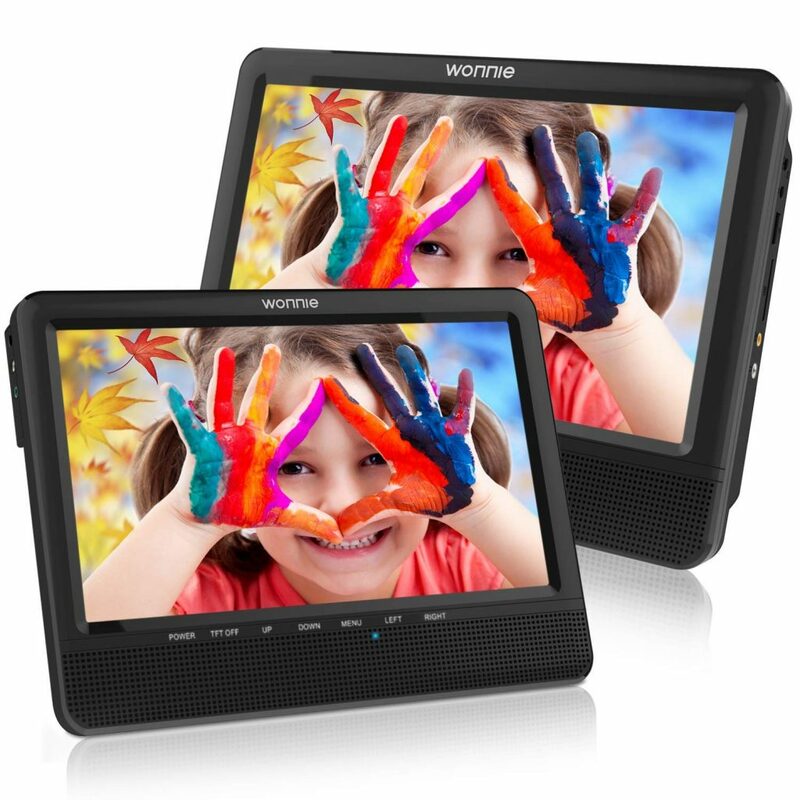 The monitor has a contrast ratio of 500:1 and brightness of 450 Cd/sq. m. The monitor can be positioned at an angle of 140 degrees to the right or left and an angle of 120 degrees upward or downward. The black overhead console has two dome lights with LEDs for illumination. The player can play contents from DVD, CD, MP3 CD, CD-R, and also SD cards and USB flash drives. It features an inbuilt wireless FM modulator and IR transmitter. The anti-skip mechanism ensures that you do not miss any scene during a bumpy ride while the last position memory allows you to resume watching your favorite content from where you stopped. 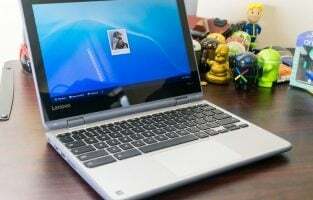 Moreover, the playback functionality helps in watching content recorded from your computer. 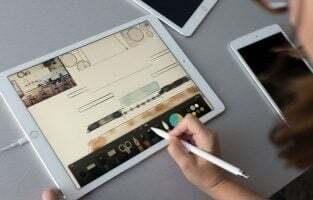 You can connect multiple devices such as the car audio equipment, an iPod, a video game console and a Blue-Ray player to the DVD player at the same time. The gadget can be controlled using the various buttons on the console or the simple and easy to use wireless remote control. It features a set of stereo audio inputs, a couple of video audio inputs and one stereo output each for video and audio. 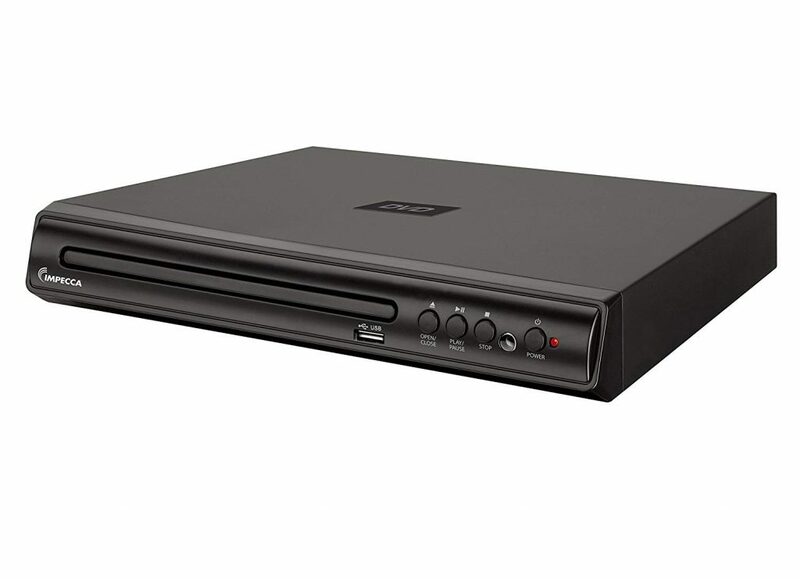 The GPXDVD player is capable of playing various DVDs and CDs such as CD, CD-R/RW, DVD+R/RW, DVD-R/RW and JPEG discs. The drawer-load DVD player features a progressive scan with Y, Pb, Pr output technology and an inbuilt PAL/NTSC system converter. It also supports programmable CD tracks, as well as multiple language subtitles in English, Spanish or French. 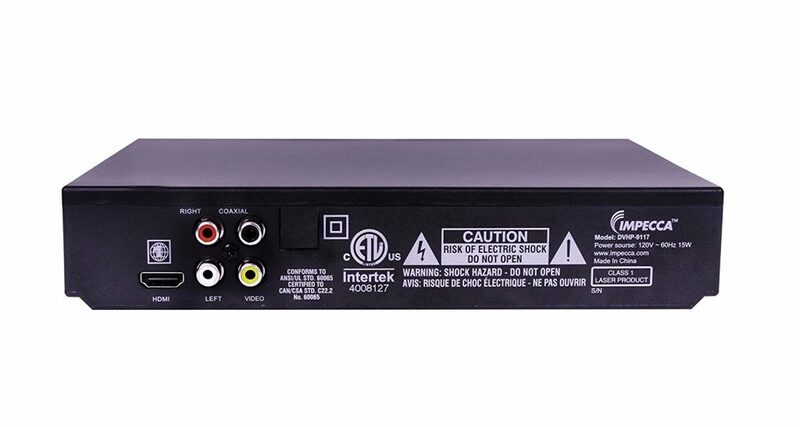 The black DVD player comprises various audio/video jacks like two-channel audio L/RRCA output jacks, an RCA video output jack, a digital coaxial output and a progressive scan output. It comes with an inbuilt AC power cable, audio/video hookup cables and a wireless remote control that works with two AA batteries. The WonnieDVD player has a 9.5” LCD dual screen display setup with 1024 x 800p resolution and one screen connecting to the other using a DC input cable and an AV output cable. The AV output helps in connecting the main monitor to a TV for viewing larger displays. Both monitors play the same content at the same time. The free region player allows you to play discs and videos of multiple formats, as well as JPG files with 720 x 576p resolution from countries across the globe. It also encompasses an SD card slot and a USB port. The volume of the main DVD player can be set up to 20 levels using the remote control. This changes the volume of the child monitor accordingly. The breakpoint memory allows you to take a break from your viewing and resume later when you want. It has 64 inbuilt classical games for kids to enjoy. The black DVD player supports three power modes with its 2,700 mAh high-capacity rechargeable battery, a car charger with 5’ cord and an AC adapter. Apart from the two LCD monitors, the player comes with two joysticks, a 3.5 mm to RCA AV cable, a DC input cable, an AV output cable, a user manual, remote control and two headset Velcro straps. The VIFLYKOO DVD player is capable of playing multiple discs, audio and video formats. However, the player does not support MP4, EVD and Blu Ray DVD formats. The device features Full HD 1080p / 480p + 720p output and HiFi speakers to deliver the best quality video and audio results for your enjoyment. It encompasses inbuilt Bluetooth 4.2 connectivity, a USB port, an HDMI port (FullHD 1080p), a cable pulling switch with power cord and an AV jack (480p + 720p). After connecting the gadget to a power supply, the power cord must be pulled downwards to start using the player. The DVD player can be connected to a projector or a TV to play its compatible discs. It incorporates set timer and power resume convenience functionalities. The DVD player comes with a desk stand and a wall mount kit for you to place the unit on a flat surface or fix it on to a wall and a fully functional remote control that uses a CR2 battery. It is available in two color choices of white and pink. 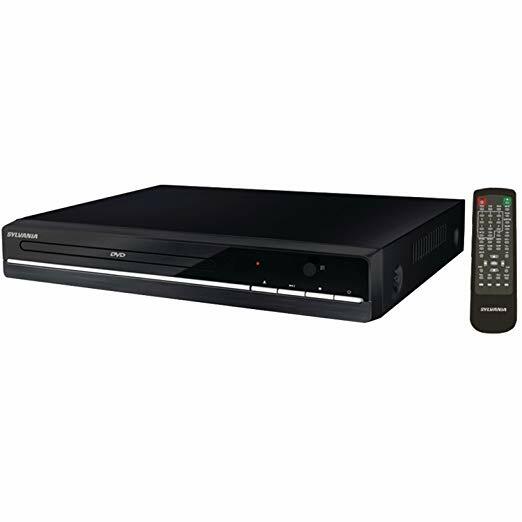 The Sylvania DVD player is compatible with many formats like DVD, VCD, CD-R, CD-RW, CDDA, MP3, JPEG, HDCD and Kodak file formats. The black DVD player can play CDs of both 8 cm and 12 cm size. It features a display aspect ratio conversion(4:3/16:9), two-channel and component video outputs, an inbuilt NTSC/PAL system, fragment selection and progressive scan. The compact device allows you to see the same scene from different angles if it has been shot that way when you play DVDs with multiple camera angles. The gadget displays subtitles in one of 32 different languages for multi-subtitles DVDs only. It also plays audio soundtracks in eight languages for multi-language DVDs. It comes with a fully functional remote control. 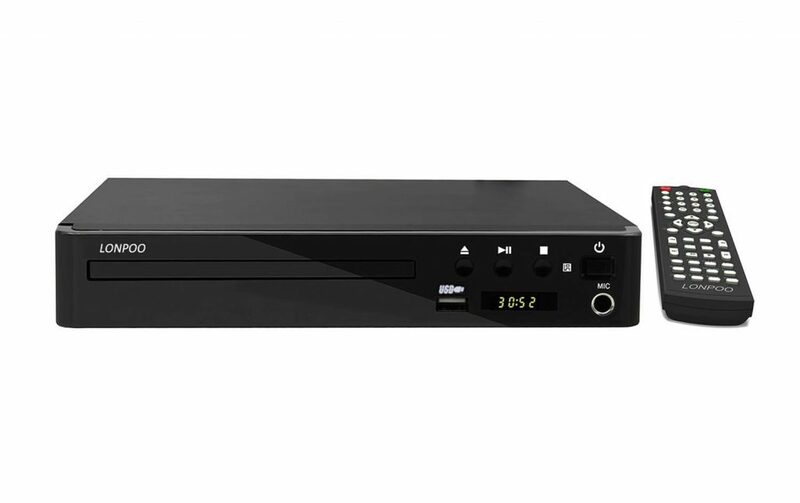 The AONCO DVD player is capable of supporting various disc formats like CD, CD-R, CD-WMA, DVD, DVD-R, DVD-WMA, DVD-RW, VCD, SVCD and HDCD formats. However, the black player does not work with Blu-Ray DVD, MP4 and EVD disc types. 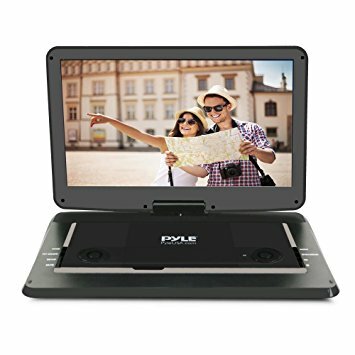 The portable unit can convert normal quality pictures or videos of regular DVDs to Full HD quality so that you can enjoy the best quality pictures. The device can also act as a FM radio or a Mini Home Boombox. 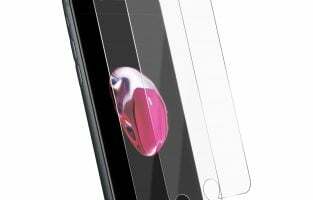 The mobile gadget has a compact design and is dust-proof. 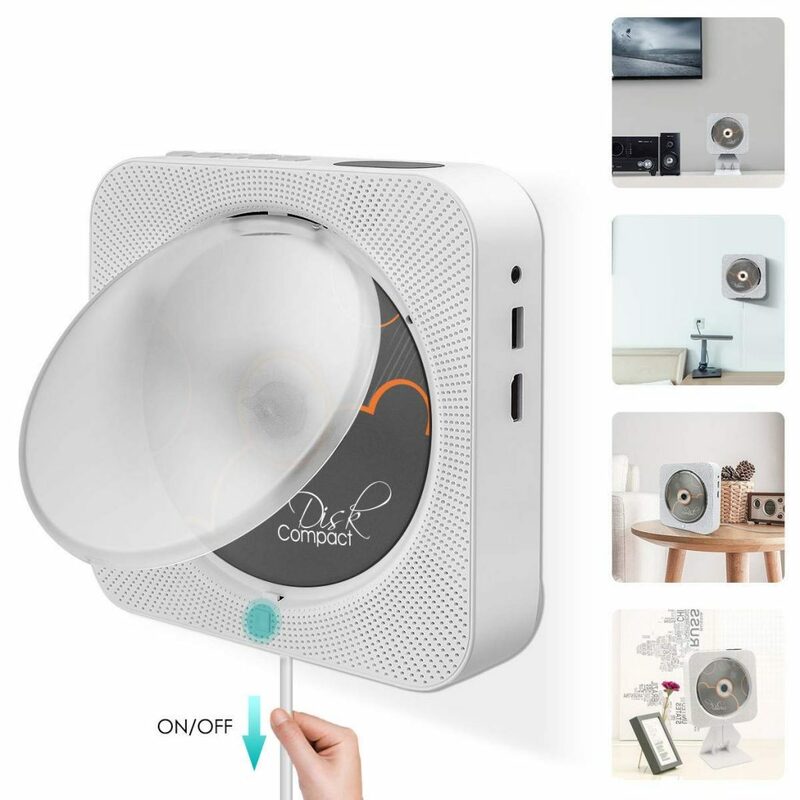 The unit features an ON/OFF timer, an LCD display, an ON/OFF timer, a pull switch, a Bluetooth receiver, a Bluetooth HiFi speaker, a USB port and a HDMI output. The ON/OFF timer helps in playing the contents of the DVD from where it stopped due to a power failure. The Bluetooth receiver allows you to connect the DVD player to other Bluetooth supporting devices like a tablet or a smartphone. The USB port allows you to play MP3 and WMA media files from a pen drive. The player comes along with remote control, a HDMI/AV cable, a USB adapter, a wall mount kit and plate, a desk stand and a user manual. The Pioneer DVD player supports multi-region DVDs and allows you to play DVDs of any country. The black DVD player supports both PAL and NTSC DVDs. It is also compatible with many playback CD and DVD disc formats. 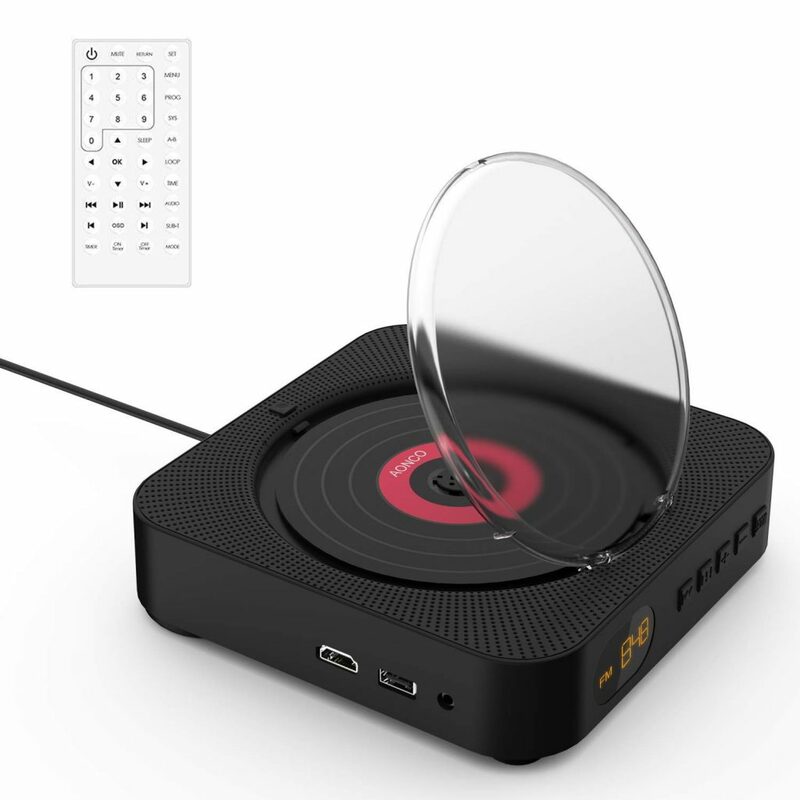 The device features a HDMI output, a USB input and a sound retriever. The HDMI output upscales the video quality to 1080p DivX playback while the USB input allows you to enjoy your favorite music or movie from a USB memory device. The sound retriever helps the DVD player to render maximum quality sound when playing compressed WMA and MP3 audio files. It comes along with a remote control that uses two AAA batteries. This DVD from Sony upscales pictures so the standard definition pictures look high definition. You can play the DVD in a loop and set it on a continuous mode and it continues to play till you turn it off. The ultra slim design gives it a chic look and makes it perfect for your home. It has been certified by Energy Star – thus it is energy efficient. Along with this, you also get a multi-band remote. It supports MPEG1 and JPEG files and the manufacturer offers a 90-day labor warranty and 12 months for the parts. Sony has been known to manufacture excellent electronics and this is one of the best DVD players on this list. You can stream over 300 entertainment services and Blu-Ray movies on this device. You can enjoy your favorite TV shows and music from Netflix, Pandora, YouTube, Hulu Plus and others. In addition, you will get Wi-Fi on this device which is a module compatible with MIMO so you get stable and fast internet service. The Miracast screen monitoring features let you mirror the screen of all types of Android devices. The Dolby TrueHD lets you enjoy clear audio for both movies and music. It offers superior music quality for all the downloaded content. The Quick Start Mode loads the player instantly so you don’t have to wait too long. You can also use your smartphone both Android and iOS to control the Blu-Ray player with the SideView app. There is space for a USB connection too so you can just connect your USB stick in the slot located in the front and enjoy music and videos. You can enjoy Blu-Ray CDs, discs, and DVDs with this Samsung player. It features an HDMI connection which lets you transmit HD audio and video through a single cable. This helps in optimizing the quality of the image when you connect your TV to HD sources such as satellite receiver, HD cable TV etc. You get Wi-Fi also along with this player and there are no wires or additional cables that you require to connect to the Wi-Fi of your home. The AllShare Play Content Sharing lets you access and stream video and audio content from a PC or smartphone which is compatible with the device. You can share pictures, movies or music using just one device. The Samsung BD Wise technology featured in this player will optimize the picture quality if you have a Samsung TV paired with it. Enjoy your DVD player along with a screen. It is portable and comes with a 2500 mAh lithium battery which offers 5 hours of running time. You can charge it with a car charger, AC power adapter, etc. The break-point memory function will pick up from where you stopped the last time. Use an SD card or a USB to play directly. It supports most audio, video and image formats. There are many disc formats that are supported so you have a variety to see. If there are two people who wish to see the same thing then two DVD players can be connected using an AV to AV cable to play the same movie at the same time. You can also connect the DVD player to a TV. This is one of the best DVD players that you can buy for your home. This is a high-resolution compact DVD player which lets you enjoy your favorite music and videos while you are on the go or enjoying a movie whilst you have a cup of coffee in your garden. It features the eye protection LCD screen so your eyes are safe. The battery of the device is super powerful and offers 5 hours of playback once it is charged completely. You get a charger for your battery so you never have to run out of power. The screen of the DVD player rotates 270 ° and flips over 180°. This makes it perfect to be used in the car or anywhere at home. You can be seated in a different position yet enjoy the screen of this DVD player. You also get a remote control. 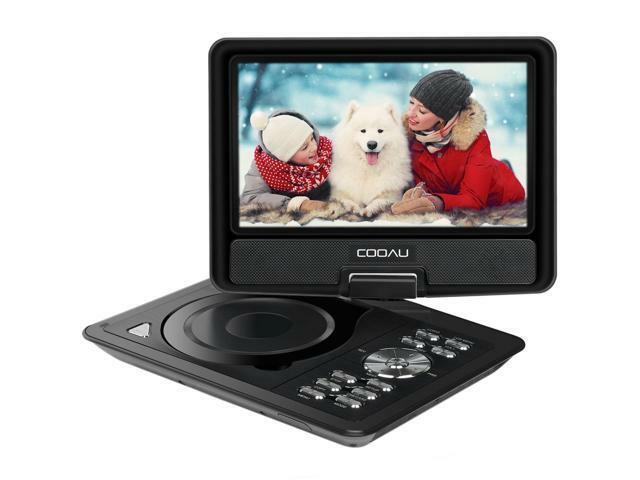 The DVD player from COOAU is perfect not only while you are at home but for times when you are traveling. This DVD features progressive scan which betters the quality of pictures that you see through it. It is light and compact and easy to move when required. The AC cord is quite long and the remote makes things easy for you to operate. The buttons are placed well on the remote so you don’t have difficulty in operating it. You can also connect a small monitor to it while traveling so you or your kids can watch movies while you go out for road-trips. This is one of the best-budgeted DVD players on this list. 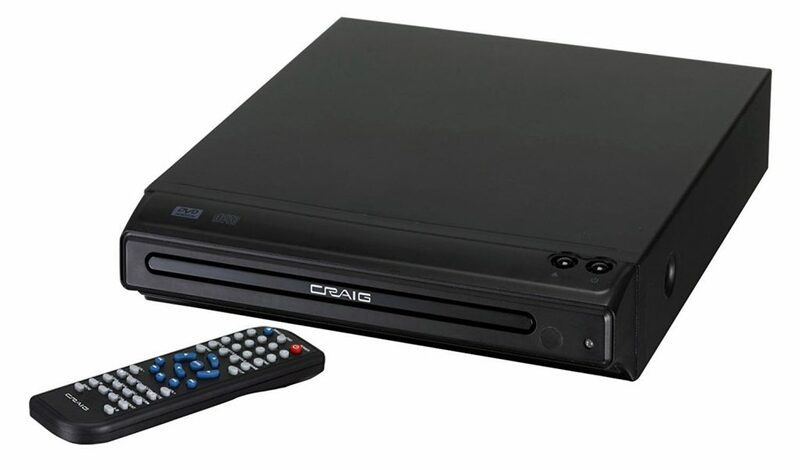 This is another great DVD player to have especially for your home theatre. Its compact design and makes it perfect to be placed anywhere in your house. Different features offered by this DVD player add value to your home’s entertainment system. The multi-angle feature lets to select the viewing angles of a particular scene which is compatible with NTSC and PAL DVDs. The front panel of the player has large controls so you don’t have to strain your eyes while using them. There is a slot for a USB input so you can directly plug in your USB and play the media files through it. This DVD player from Impecca makes movies and video look great and audio sound perfect. The remote control is fully functional. It is compatible with CDs, CD-Rs, and MP3 and besides DVD it can also play CDs of 8 and 12 cm. 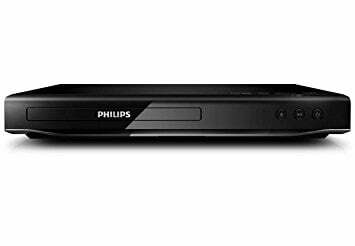 This DVD player from Philips may look simple but has the best feature in this list of DVD players. It can play DVDs from any country. Besides it is 12-bit/108MHz that processes videos so they look sharp and crisp. The player is compact to store and easy to operate. The remote has all buttons placed neatly for easy operation. Now you can travel abroad and return back with DVDs that you like and play them with this unique DVD player from Philips. The LG DP 132 DVD player lets you enjoy videos and audio files from across the world. It is a multi-playback player so you can listen to audio through CD or MP3, watch a JPEG or DVD and the USB Plus lets you playback DivX, JPEG, and MP3 files stored on the USB memory stick. You can easily extract the audio tracks from your CD to the USB and create a collection of your favorite MP3s. You can also take out audio tracks from CDs and then transfer them to a USB device. All you need to do is insert a CD and create your collection of music. This Sony DVD player plays DVDs from any region. You can enjoy photos, music, and video through a USB. You can insert any Pen Drive in this player and play its content through it. There is one system that lets you play PlayStation 3 games without any console. You can play 3D content and even use 3D glasses as you watch your movies or videos in 3D. 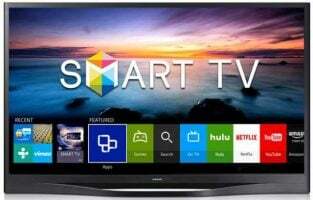 It features 4K video upscaling which can be used with Ultra HD TVs – photo, music, and video to get better picture quality and clear sound. The IP content noise reduction pro refines the quality of sound and plays loud music clearly. You also get Wi-Fi with MIMO so you can easily connect it to your home Wi-Fi or a hotspot without any wires. 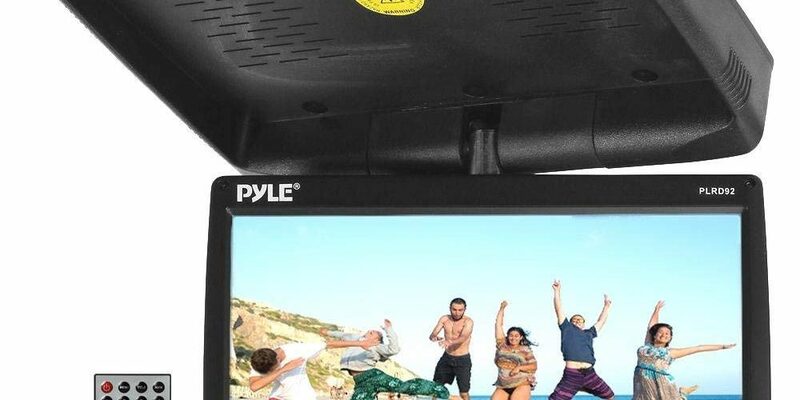 This portable and lightweight DVD player from Pyle and is perfect for watching videos while traveling. There is a 15-inch screen attached to this which rotates 270 ° and folds so you can fit it at the back of your car seat. There are slots for USB memory stick and SD memory card which can be inserted and played directly. The videos played through this are HD and the pictures are crisp while the sound is crystal clear. It also supports multi-language. You get a car-powered AC adapter which can be included in the road trip. The display is large and you can enjoy videos without straining. The anti-shock playback helps in avoiding skips. Also included in the package is a remote which gives you the comfort of operating the DVD player. 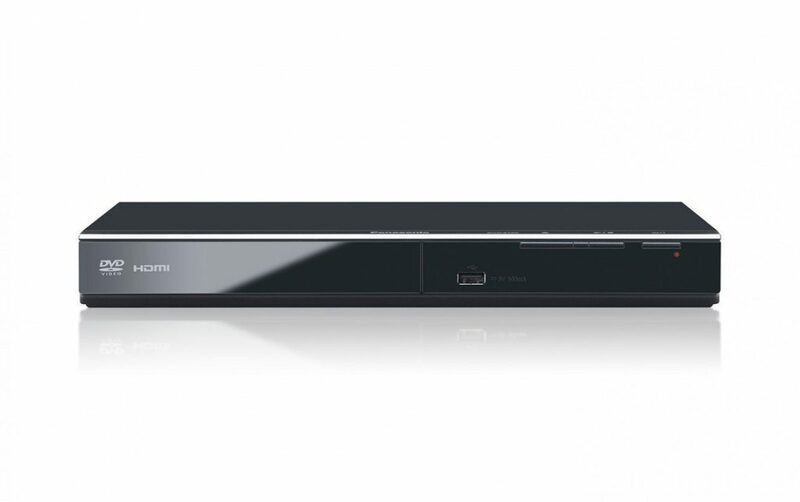 With many manufacturers offering different DVD player models, you will be spoilt for choices. If you are someone who travels abroad often and brings home CDs/DVDs from the country you visit, you can opt for a multi-region DVD player. On the other hand, if you want nothing but the best when it comes to picture quality, take your pick from a player with an HDMI port for upscaling. 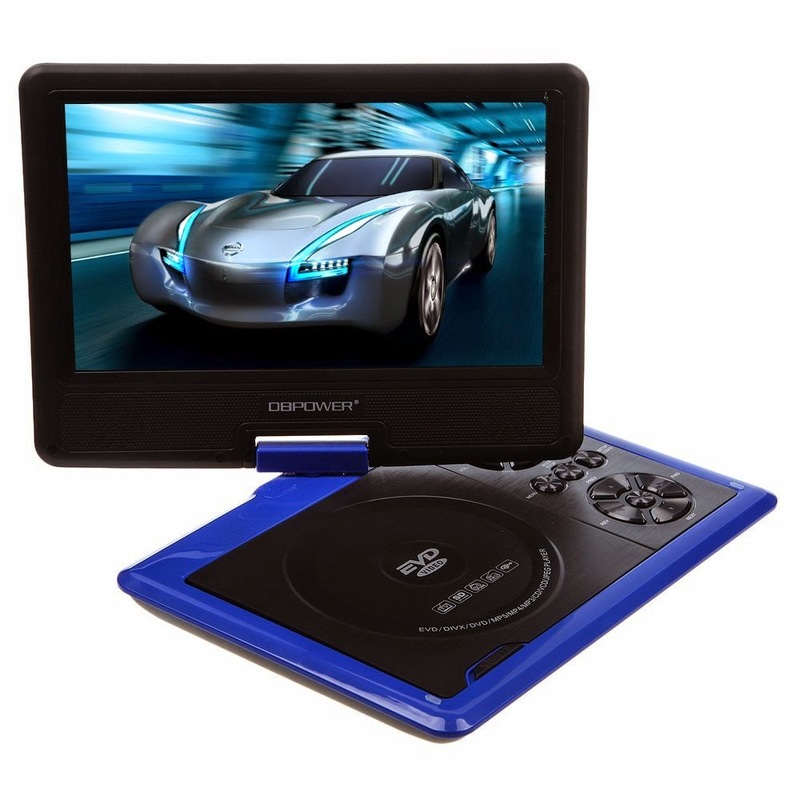 Portable DVD players with monitors are ideal for those who enjoy traveling by car and want to keep kids entertained during the travel. Last, but not the least, if you are not able to decide whether you will place your DVD player on a table or mount it on a wall, you may want to invest in a DVD player that supports both these options.